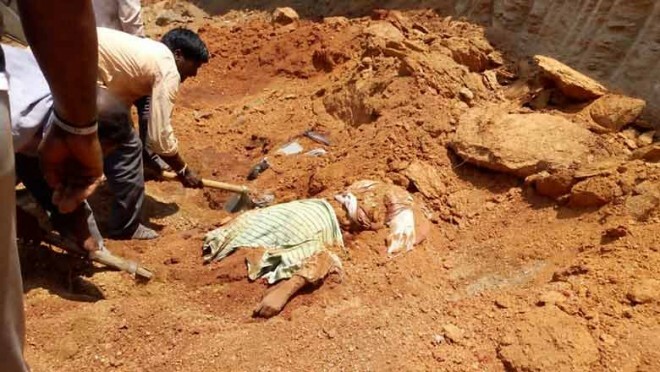 Hyderabad, Apr 10: Ten people including some women labourers working under the MNREGA scheme were killed when a huge mound of mud fell on them at a worksite in Telangana's Narayanpet district on Wednesday, police said. The incident occurred today afternoon when a huge quantity of mud fell on them at the worksite following which they were buried alive, they said adding efforts were on to rescue those trapped. Telangana Chief Minister K Chandrasekhar Rao expressed deep shock and anguish over the incident which he described as "unfortunate". Rao instructed the officials concerned to provide all necessary care to those injured.